We empower children to have a voice about the future they wish to see. Children, and their children, will inherit the Earth. We aim to give a voice to all children worldwide to express their insightful and creative visions about how they would like this future to be. But, we cannot achieve our goals alone. Find out how you can help. 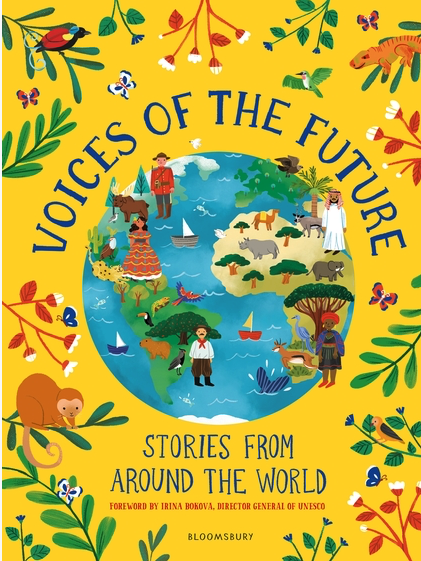 A wonderful anthology of eight stories addressing children's rights and sustainable development, written by child authors from all around the world and produced in conjunction with UNESCO's Voices of Future Generations initiative published by Bloosmbury. Weʼre raising £3,000 to purchase books written by the Voices of Future Generations Child Authors to gift to schools in developing countries around the world, help us! To learn more click on the button below.